World meet Atlas. Atlas meet world. With a dash of theatrics, this massive humanoid robot was unveiled today by DARPA at the headquarters of Boston Dynamics, just outside Boston. 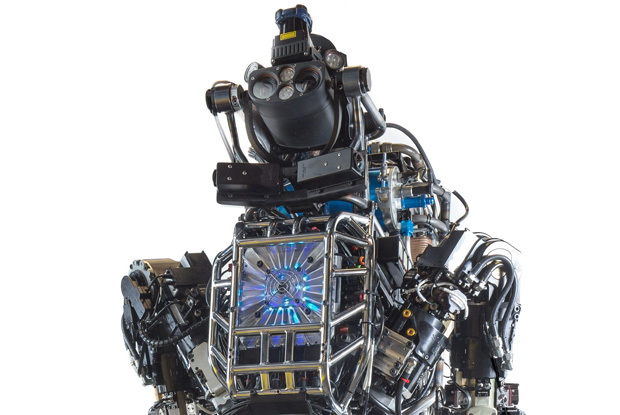 Atlas was built by Boston Dynamics for theDARPA Robotics Challenge (DRC), whose goal is to advance disaster response robotics. The hope is that Atlas is the first step towards the day when robots, not humans, will be sent to help mitigate major catastrophes, such as theFukushima nuclear accident.